French biotech Poxel has positive phase 3 data for a new type of oral therapy for type 2 diabetes, setting up a first filing in Japan next year. The trial of imeglimin – which works via mitochondria to simultaneously target the pancreas, liver, and muscles – was conducted in collaboration with Sumitomo Dainippon Pharma, the licensee for the first-in-class drug in Japan, China and various other Asian markets including South Korea and Taiwan. The first phase 3 readout for imeglimin in the TIMES 1 trial showed that the drug was more effective than placebo at reducing haemoglobin A1c – a biomarker for glucose control – after 24 weeks’ treatment, reducing it by 0.87%. The company says that reduction compared favourably with other oral drugs for diabetes. Imeglimin was given as a twice-daily 1,000 mg dose to 213 Japanese type 2 diabetics, and also improved fasting plasma glucose (FPG) compared to placebo, with a similar tolerability profile. Two additional Japanese trials (TIMES 2 and 3) are due to read out before the end of the year and will test the drug in combination with other type 2 diabetes therapies. Outside Asia, imeglimin is being developed by Poxel and partner Roivant Sciences – led by biotech entrepreneur Vivek Ramaswamy – which paid $35 million upfront for US and European rights to the drug and took a $15 million equity stake in the French biotech in a deal signed last year. The licensing agreement also included $25 million in development funding, up to $600 million in payments if imeglimin reaches a defined set of regulatory and sales-based targets, and double-digit royalties on net sales. Roivant is planning to start a phase 3 programme for the drug this year, including differentiation studies to confirm imeglimin’s potential in sensitive patient populations such as patients with chronic kidney disease. Analysts have suggested that peak sales of imeglimin could top $3 billion assuming it is approved in the US, Europe and Japan. According to Poxel, imeglimin increases insulin secretion in the pancreas, whilst also reducing excess glucose production in the liver and increasing insulin sensitivity in the muscles, a triple mechanism that differentiates it from other oral antidiabetic agents. “This is a significant milestone for Poxel and for the development of our most advanced drug candidate,” said the biotech’s chief executive Thomas Kuhn after the data was announced. 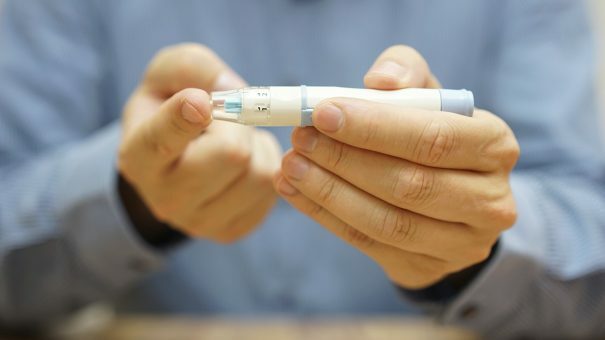 “The TIMES 1 results confirm the robust efficacy combined with favourable safety observed in the phase 2b trial in Japan and the potential benefits that Imeglimin can bring to type 2 diabetes patients globally,” he added. Japan is an important market for diabetes drugs, estimated to reach $6 billion a year by 2020. The number of people with diabetes swelled from under 7 million in 1997 to more than 10 million in 2016, according to the Nikkei Asia Review, thanks to rising obesity rates and the aging of the Japanese population. Poxel was founded in 2009 as a spin-out of the diabetes pipeline from Merck Serono.